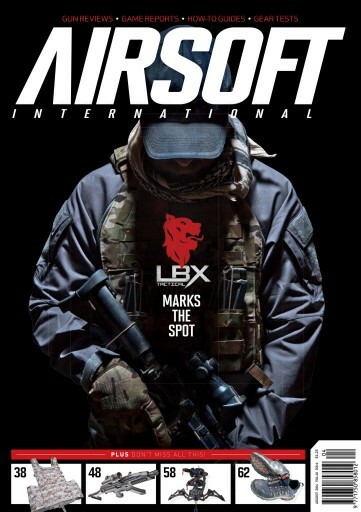 This month sees LBX, the airsoft specific branch of the illustrious London Bridge Trading on the cover with a selection of great looking, hard wearing tactical kit at a price that's easy to swallow. Inside we've also got the scoop on the new ASG Scorpion Evo 3 A1, a groundbreaking AEG made entirely in the EU. Don't miss this and plenty more in another hard-hitting issue of Airsoft International!